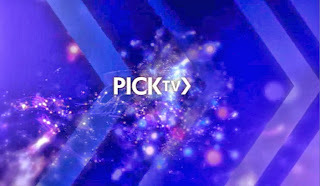 As switchover progressed across the Midlands, Anglia, Yorkshire and Central Scotland during 2011, the platform got a new specialist genre channel. America's Scripps Networks, who became co-owners of UKTV, launched Food Network UK on Freeview channel 49 on the 7th July. The service was available daily from 6pm to 10pm, but would increase its hours a year later to become 24 hours a day in post-switchover regions. The channel's diet mostly consists of cupcakes, men eating enormous meals in US drive-ins and more cupcakes. It's UK-sourced programming includes Nigella and Andy Bate's Street Feasts. ITV launched ITV1+1, a timeshift version of its main ITV1 channel on 11th January 2011. The channel launch meant that ITV2+1 had to move multiplexes and ITV2+1 temporarily became an evening only service using the former CNN capacity on Multiplex A (SDN). Within hours of ITV1+1 timeshifting its first local news programme, viewers where querying the "wrong regional news" on the channel. ITV1+1 is based on ITV's advertising macro regions, which lump several smaller regions together. In 2012, further ITV1+1 regions were made available, but smaller sub-regions remain without a ITV1+1. Sky continued to shuffle its channels around on Freeview. Overnight from the 31st January into the 1st February, Channel One closed down. By 7:00am, classic game show channel Challenge had launched on channel 46, using Channel One's former capacity on multiplex A. Later, Challenge would move to Multiplex C replacing Pick TV+1. The acquisition of Virgin Media's channels had given Sky 4 channel slots on Freeview - one more than the three they were allowed to have due to competition grounds. The transfer of Challenge to Multiplex C solved that problem. Challenge now available on Freeview - YouTube video. Pick TV was the new brand name given to Sky 3 and its timeshift channel on the 28th February. This rebrand ensured that the "Sky" brand only remained on Sky News on Freeview. The content of the channel remained the same, with no sign of any of the top rating US imports previously on Virgin 1/Channel One making the jump across to Pick TV. Instead, Sky had freshened its own Pay TV line up with US imports going to Sky Living and Sky Atlantic. UKTV launched Really on the 2nd August 2011 on channel 20, using capacity previously used by Dave Ja Vu between 8:00 am and 2:00am, but taking the old Virgin 1/Channel One Freeview channel number. Dave Ja Vu remained on Freeview (channel 25) - but only between 2am and 4am and has been viewed as a "placeholder channel", keeping the channel number available for UKTV in the future. While Dave is a male-orientated channel, Really provides programming of interest to women, but with the occasional big hitting US programme, including Home Makeover: Extreme Edition. 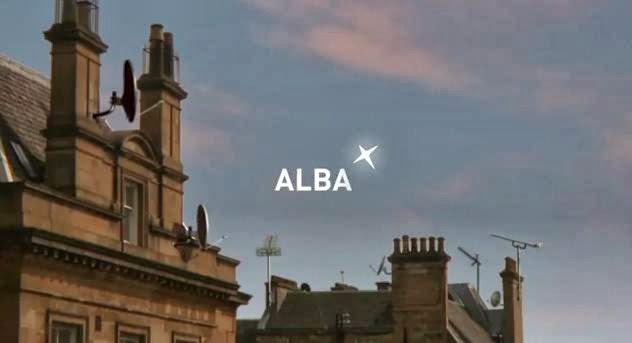 In Scotland, the end of the digital switchover marked the launch of BBC Alba on Freeview channel 8. It 's appearance on Freeview meant that from the 8th June 2011, many of the BBC radio stations on Freeview have to close down for several hours every day to give capacity on the BBC's digital multiplex to BBC Alba. BBC Alba is a gaelic language channel and features a nightly news programme entitled An La at 8pm. Some of its highest ratings come from screenings of Scottish Football and Rugby. The channel had been on Sky and Freesat since 2008. Shortly before its launch on Freeview, the channel had been added to Virgin Media's Scottish line up. In the world of teleshopping, Gems TV went 24 hours on multiplex C (ARQ A) and The Jewellery Channel acquired a slot of its own on Multiplex A/SDN. For a short time, the channel was available 24 hours a day, before being cut to 1200-0000 and later (in 2012) 0600-0000.